All the help and advice professionals like architects and plumbers could possibly need is now just a click away. Explore all new tools and functionalities and check out which of these make your daily business easier than ever. 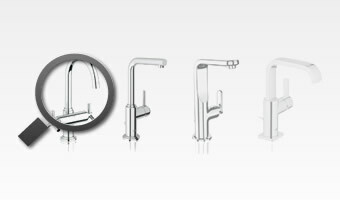 The site introduces a unique and innovative ‘widget bar’, which personalizes the GROHE experience for the professional. Here, a special password-protected notepad function allows you to create your own PDF catalogue, create tailored specifications and download product information in just a couple of clicks. You can carry out product searches on current or historical products, check product availability and chase orders. For example, wholesalers can check the status of orders and delivery dates. As a professional customer, you can even download all the technical details of a project in the form of drawings, images and CAD files. It’s everything you need as a busy professional to manage projects virtually. Our installation videos give you advice for mounting our products, answer technical questions as well as explain our unique technologies. Our Planning examples give you solutions for every application. Our sketches demonstrate the installation and pipework in simple and visual ways - and the list of products will help you realizing even some complicated planning scenarios. We also provide more useful information like project recommendations, standards & guidelines and personal support and advice. 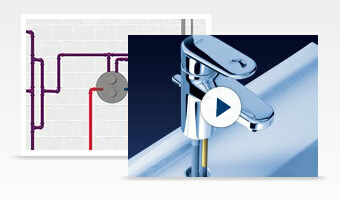 Immerse yourself in the GROHE product world. Be inspired by award-winning designs, or search for a specific product you have in mind. Add them to your Notepad or download them in your PDF catalogue.